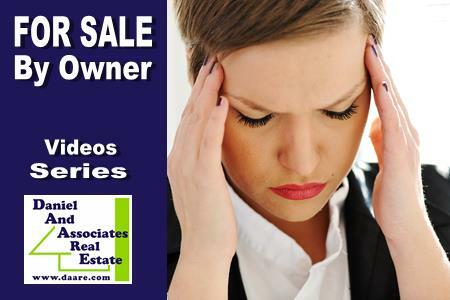 Are you thinking of selling your home “FOR SALE BY OWNER”? • Do you know how to price your home? • Do you have a plan of security for you and your family? • Do you know how to have a serious buyer approved? • Do you know how to conduct an open house? • Do you know how to fill out a contract? Yes, you may be thinking you will save money on commission but what is the true cost? You may be losing more money and your valuable time by not hiring a real estate professional. Daniel Czuba, a 30+ year veteran of real estate, from Daniel And Associates Real Estate would like to inform sellers of what to expect if you decide to sell your home by yourself instead of a licensed Realtor®. Please review his very informative videos. There is a total of 5 in this series and see what you may be missing? !